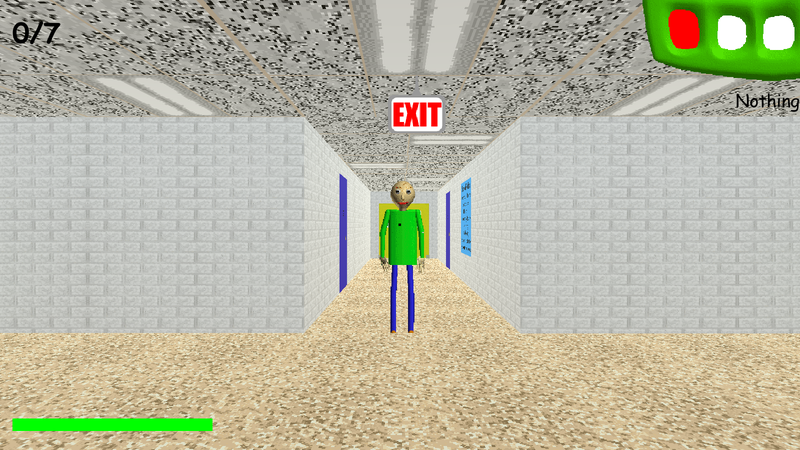 Baldi’s Basics is a free-to-play game in which you play a student who must gather seven notebooks scattered around a school while being chased by Baldi, a freakish teacher who slaps a ruler onto his hand as he gets closer to you. While the beginning of the game incorporates easy maths problems for you to solve in these notebooks, the questions eventually become unanswerable, and the “learning” aspect of the game disappears. 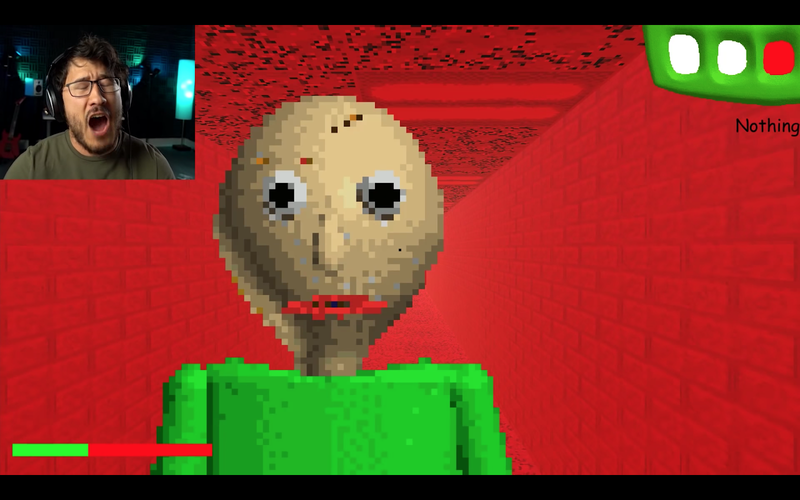 Baldi’s Basics is actually a horror game that hides under the guise of edutainment. In April, we called it “self-consciously terrible.” It features iconic yet hideous 90’s-inspired graphics, ear-grating sound effects, and jump scares, making it ideal for YouTube, where similar games like Slenderman and Five Nights at Freddy’s have flourished. The videos by Markiplier and Pewdiepie videos have respectively raked up 5.3 million views and 4.1 million views and helped fuel the game’s ongoing YouTube success. In their clips, the YouTubers are frustrated and shocked. The comments section of their Let’s Plays are littered with comments such as “J U M P R O P E ? !” and “Gotta SWEEP, SWEEP, SWEEP!! !” These are lines from characters in the game who were infuriating obstacles for players trying to escape the school. Crossovers between the world of Baldi’s Basics and other beloved games have also been spreading on YouTube. Level UP, a YouTube channel that produces 8-bit animation videos, has created three shorts in which Baldi infiltrates the worlds of Sonic the Hedgehog, Donkey Kong, and Super Mario. In their most-viewed video, “Baldi would be OP in Super Mario Bros.” Mario’s squad (consisting of him, Luigi, Toad, and Yoshi) drops in numbers as they attempt to clear the level by collecting notebooks, completing maths questions, and escaping Baldi’s wrath. This video gained 4.7 million views in under a month. The crossovers, however, have not been restricted to video games. 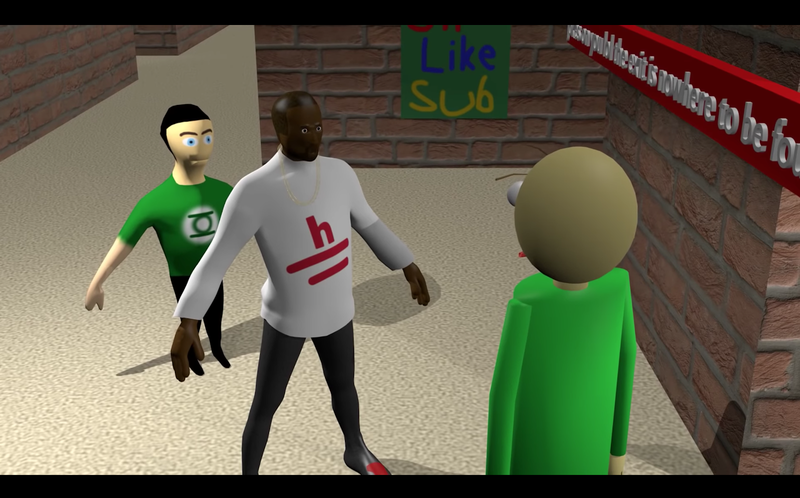 In Surreal Entertainment’s bizarre but entertaining “How to complete Baldi’s Basics,” rapper, record producer, and fashion designer Kanye West descends from the ceiling and saves the player from Baldi. Kanye’s heroic deed has been viewed more than 2.2 million times.